Welcome to our seaside paradise apartment. Mindblowing views of the beach, ocean and mountain ranges from the lounge,bedrooms and balconies. with just a 15 second walk from the apartment and you are on the beach, swimming at high tide and beautiful sunset walks at low tide.Award winning waterfront cafes, restaurants and numerous takeaway options within 5 minutes walk and the convenience of the city bus route right on your doorstep.Paddle board hire at beach, great playgrounds, hydroslides, mega-slide,bumper boats , go-carts and nature land -all within 5 minutes walking. An excellent flat beach for walking or jogging. lots of choices of activities or just sit on the deck and enjoy the ever changing views and watch the world go by. Gateway to the fabulous Abel Tasman, Golden Bay and Marlborough sounds. An hours drive to ski field and magnificent Nelson lakes. comfortable beds, a king,queen and a double. Luxurious living, dining and balcony area, shared off-street parking. Quality linen, stylish furnishings, 42” and 32"
player. Beautiful accom for 7. When making an enquiry please add the age range of your group, thankyou. this is not a party house and is not to be used for large gatherings. please note too that there is a small self contained unit on first floor permanently occupied. Beautiful apartment, clean and well equipped. Host very helpful. Would definitely stay again. Great views, lovely property, perfect for families. We stayed to attend our Daughters wedding, the property was perfect for what we needed. 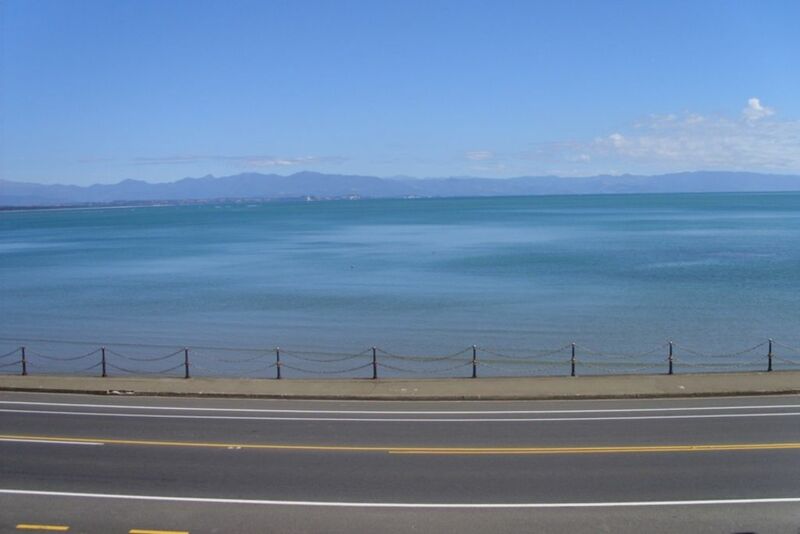 Beautifully presented, easy to relax in, within walking distance of Tahunanui beach/cafe scene. BBQ, spa pool and easy access to beach. A beautiful, luxurious apartment with an outstanding view, in a great location for the beach and petting zoo. The road noise will disturb light sleepers, but most in our group weren't affected by it. Also, the lack of a door in the master bathroom might be a problem for some depending on privacy needs. But the place worked beautifully for our group of friends and we were very happy with the care the Liebezeits took with us and their property. great location , beautiful, comfortable house. The apartment has been acoustically designed to take in consideration the road noice. This is the first comment regarding the road noice since registering with Bookabach in 2014. We do have many repeat renters who love staying at the property.